Eric Christopher Stone was born on August 19th, 1946, and passed away on May 24, 2018. He was born in Seattle, WA, spent his early years in Aberdeen, and lived the majority of his adult life in the Kent and Auburn, WA area. He was a 6 year resident of San Tan Valley, AZ at the time of his passing. Eric was devoted to God and Country, a loving husband, father, grandfather, and loyal friend to many. A man of many talents and passions, over the years he was he was a valiant soldier, private pilot, and a true cowboy, a photographer, he loved riding his Harley, and collecting western art and music. 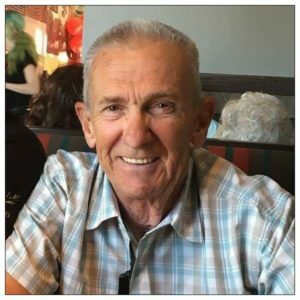 He enjoyed playing rhythm guitar in a country band, crafting tooled leather goods, making beaded hat bands, riding horses, and could often be found immersed in his loves of flight and guns at airplane museums and local air and gun shows. He enjoyed encouraging people and making them smile. His greatest love was dance. It was a passion that started from a very early age, when he met Fred Astaire when he was 11 years old. He was an accomplished ballroom and country dancer. 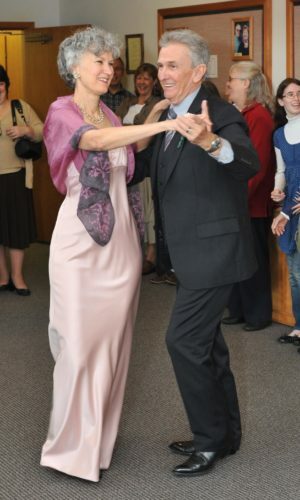 He will be fondly remembered by those who loved him most as one of the best at rumba and west coast swing. 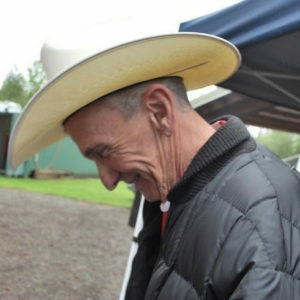 Eric and his wife Joyce danced at the Rockin’ Horse Dance Barn when they were in town. Eric was a decorated Army veteran of the Vietnam War and had a life-long devotion to remembering his brothers-in-arms. He regularly participated in the Patriot Guard and other Veteran’s and Memorial Day celebrations to honor those who served and who gave their last full measure of devotion. 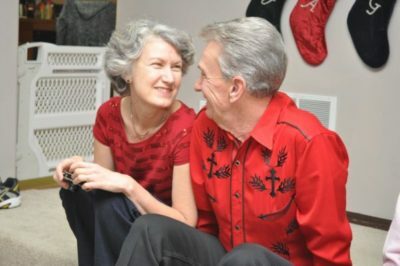 Eric is survived by his beloved wife, Joyce Carpenter; son, Shane Stone; step-daughter, Julie Sedgwick; his sister, Kathrin Hefa; his grandchildren, Anna Sedgwick, Michael Stone, Jessica Bombardier, Eric Stone, Aiden Stone, and Tarryn Stone; and great grandchildren Gage, Ryleigh, Mason and Luca. …he had a faith and trust in God and Country with no bounds. …he faced and persevered many challenges in his life. …in search for inspiration, insight, and advice he was my mentor. …whether on point, at your side, or on sweep he brought safety and comfort. …I will miss him until I too am called home to be with the Lord. …he was more than my hero; he was my best friend. I extend my deepest condolences to Joyce, Eric’s family and friends as we grieve.